If you live anywhere in the Lower Mainland of British Columbia, Canada or travelled in the area, you’ve probably driven by it before. ‘It’ is the Charlie Perkins Memorial Tree. 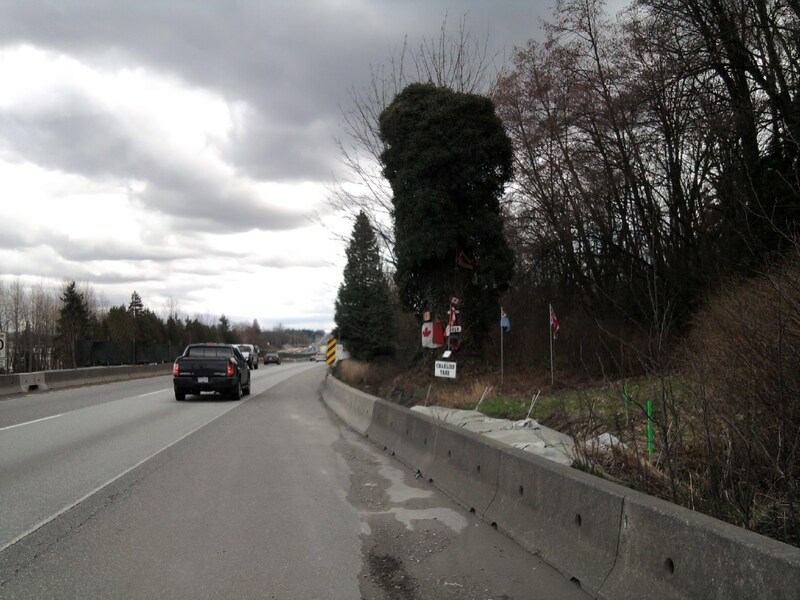 I’ve lived in Langley my whole life – almost 43 years – and have driven by the tree thousands of times. I’ve wondered, many times, but never bothered to stop and investigate…until today. On the way back from picking my son up at an event in Burnaby, I took the risk (and believe me – you’re taking your chances getting off and then on the Freeway at this location) and visited the site. Below are the photos I took and a transcription of the plaque I found. I will only add that standing there, I was impressed by the power of standing up for what you believe in, especially if it’s important and it’s right. That power put a bend in a major highway – a bend that exists to this day! UPDATE COMING SOON: Charlie’s Tree falls after 300 years! What a great story, Antonio. I, too, have driven by this location many times. It is great to finally ave an understanding of the memorial and the story surrounding it. How interesting (and heart warming). Thanks for stopping and then sharing the stor with the rest of us. I have recently looked up information about this tree as I too have passed it often over the last 30 years. I am going to do a write up on my site, Miss604.com and I would love to use an image of yours from this feature – may I have your permission to do so? Perhaps Photo0244.jpg (bottom left). I would credit you and link back here if that’s ok. Thank you! Please feel free to use the image. Thanks! Thank you for sharing this information with me. Charlie was one of my great-uncles and I am thrilled to get a little more information about the tree. I have driven by it a few times, and always get a little chill when I do. This is a non-profit book project with net proceeds going to the Canadian Letters and Images Project based at Vancouver Island University. 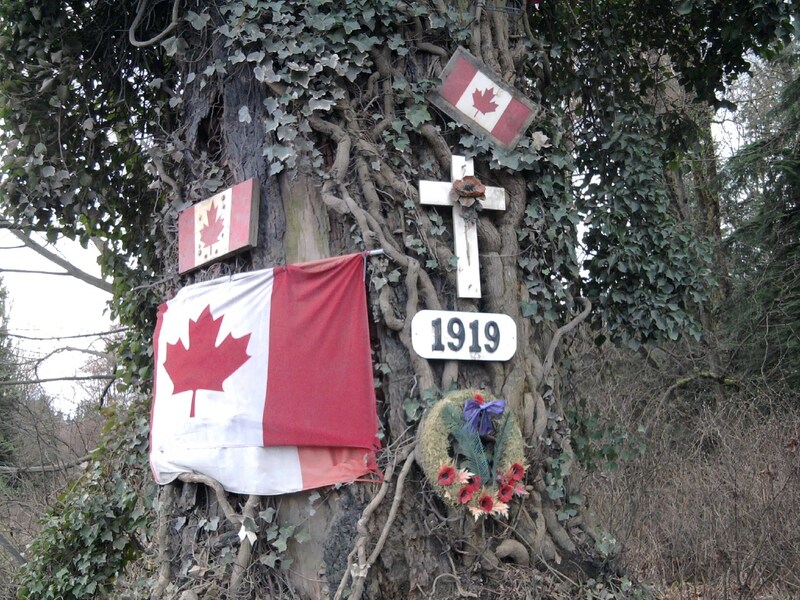 It features an on-line archive of letters sent home by Canadian soldiers in various conflicts. I think you mean Ken, the relative, who left a comment below. Feel free to add anything you see here from me. Thanks for your interest in this story! Ken do you know what your great uncle did for work after the war.? I first saw Charlie’s Tree back in 1973 driving out from Burnaby dating a girl from Aldergrove. 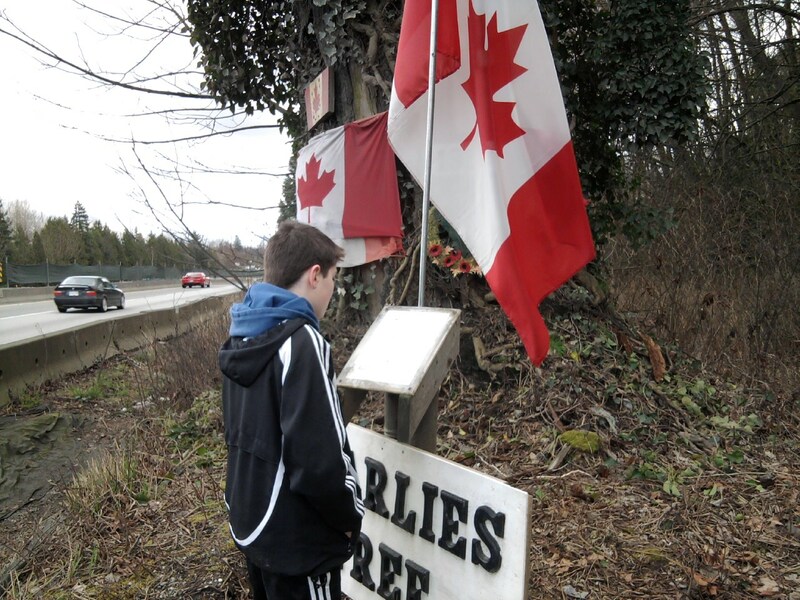 I have since driven by the Tree hundreds of time if not more and always wondered about this memorial to Charlie. I finally googled and got some great history. If the property around it is owned by city of province, they should make a park adjacent to the Tree. Harbour Publishing is publishing a book on BC history by Mike McCardell and it features a chapter on Charlie’s Tree. With your permission, we would like to use one of your photos. Please contact me as soon as possible, at morgan@harbourpublishing.com. I’ve often wondered about that tree. I think that they should put in a pull out lane so that people can stop there safely and look at the historic site. I’d love to! How can I get to this tree from the hwy? Do I have to park then walk? I would love to see it up close! Ive been driving by it for 29 years! You need to actually pull off the freeway. Be careful! What a heart warming story,thank you from myself and my brothers,the perkins family. Thank you Antonio for sharing this wonderful authentic learning experience. 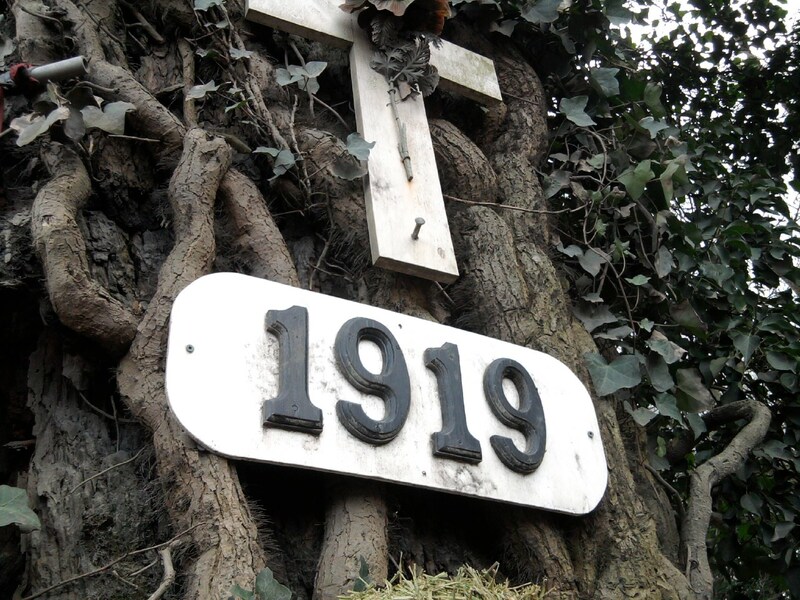 I have driven past that tree many times and have always wondered who Charlie was. Your thirst for knowledge is inspiring. I have shared your blog with my Social Studies 11 class and hope they learn as much from you as I have. It’s a good reminder that soldiers from close to home have fought, and continue to fight, to give us the liberty and freedoms we enjoy here in Canada. Merci. Is this tree a memorial for Charlie’s brother that did not return? To be honest, I’m not sure, but that is a great story! Given the size of the tree, I suspect that the planting of the trees is just a story. Thanks for reading and commenting! I was sad to see the tree fall a while back. I will be sure to stop by the site and update this story! Thanks for reading.